So continuing from last weeks olive oil beauty triumph I thought I would pick another easy to pick up item for your kitchen for this weeks top tip. Lemon is rich in fruit acids and enzymes that will gently remove dead skin cells and bleach darkened or discolored areas and brighten skin tone, it is even natural antioxidant which helps stimulate collagen production in your skin- who knew! I would only use fresh-squeezed lemon juice, not the bottled stuff, which contains anti-oxidizing chemicals that are harmful to the skin. 1. To lighten discolored elbows: cut a lemon in half and place one elbow in each half for approximately ten minutes. Lemon’s acids will gently break down the dark patches of skin so they may be washed away. So good bye difficult fake tan spots :) You can also lighten age spots: simply sit with a slice of lemon applied directly to the area for ten minutes. Repeat once a week until spots fade. 2. Brighten up your face and soften your skin by simply rubbing a fresh lemon on this area before you go to bed. Rinse in the morning. You can also add 1/2 cup of fresh lemon juice to your bath water and soak for 20 minutes for an all over treatment. 3. You can use it as a hair conditioner just mix the juice of one lemon with one cup warm water and apply to hair. Allow to remain for a few minutes, then rinse. This will add fresh bounce and shine. 4. 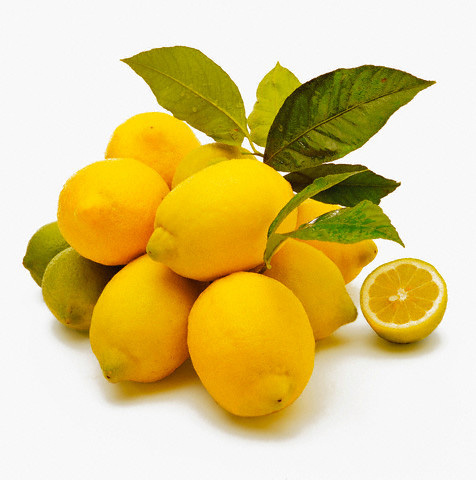 For getting rid of dandruff mix a few tablespoons of fresh lemon with warm olive oil and rub gently into scalp. Allow to remain for 15 minutes, then shampoo and rinse as usual. 5. For smooth, pretty feet use a foot bath or a basin, combine 1 cup of lemon juice, 2 tablespoons olive oil, 1/4 cup milk and enough water to fill the basin. (You may also add a few drops of your favorite essential oil for fragrance, if you like.) Soak feet for 15 minutes, then rinse with warm water. Do this once a week for several weeks for noticeably softer, smoother feet. 6. Astringent toner for oily skin: Combine the following--2 tablespoons lemon juice, 2 tablespoons vodka, 1 tablespoon distilled water, 1 teaspoon witch hazel. Apply with clean cloth or cotton balls to skin, then rinse. Caution: do not apply to broken skin, as it will sting! This formula will keep in the refrigerator for a week. Simple squeeze some lemon juice into a glass jar, and dab some onto your face every morning, let it set for 10 minutes, then wash it off with warm water followed by a moisturizer. Fresh lemon juice will last for 4-5 days. 8. Whiten and brighten those nails by first, soaking them in lemon juice for 10 minutes, and then brushing them with a mixture of equal parts white vinegar and warm water. Rinse well and you will be stain free and sparkling. 9. Breath Freshener, If you are caught out and looking for a quick breath pick up try simply squirting a few drops of lemon juice into your mouth, swish it around, and swallow it. The citric acid content alters the pH level in your mouth, killing odour-causing bacteria. 11. Naturally bleach your hair to bring out blonde highlights by using the juice from 1/2 - 1 lemon into your hair. Squeeze it directly into your hair. (Don't worry if you get some seeds in your hair. You'll rinse those out later!) Sit in the sun for 25 minutes. Shampoo and condition as usual. If your hair is light colored, you will see more blonde highlights. If you have darker hair, you will notice some nice red tones. All that and it is nice and refreshing on the side of your gin too- that is me sold! Hope you have found a handy lemon hint perfect for you! GREAT TIPS Bx! As if I didn't love lemons so much already! Oh no! I've been using the bottled stuff on my skin for the past few days! I switch to fresh lemons, but I didn't do any damage did I?!? No No Jammer don't owrry just if you were to do it for long long periods of time you could harm it as there are other chemicals in it than you dont need.